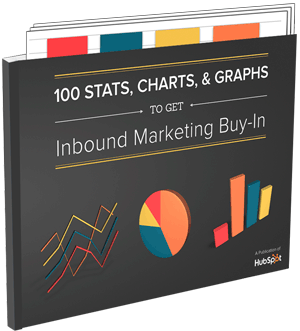 Access resources you can use in your next inbound marketing presentation. Convincing your organization to make a change is never easy. Even the most persuasive pitches can fall flat when coworkers ask the hard questions: Are other marketers actually doing this? How much is this going to cost? What will the return on investment be? That's why we've compiled over 100 inbound marketing stats, charts, and graphs in a PowerPoint presentation to help you make more persuasive pitches. You can even copy and paste entire slides into your own presentations. You can also use these stats, charts, and graphs wherever else you’d like: on your blog, in an ebook, etc. Don't keep all these resources to yourself! Share this page with your social network.